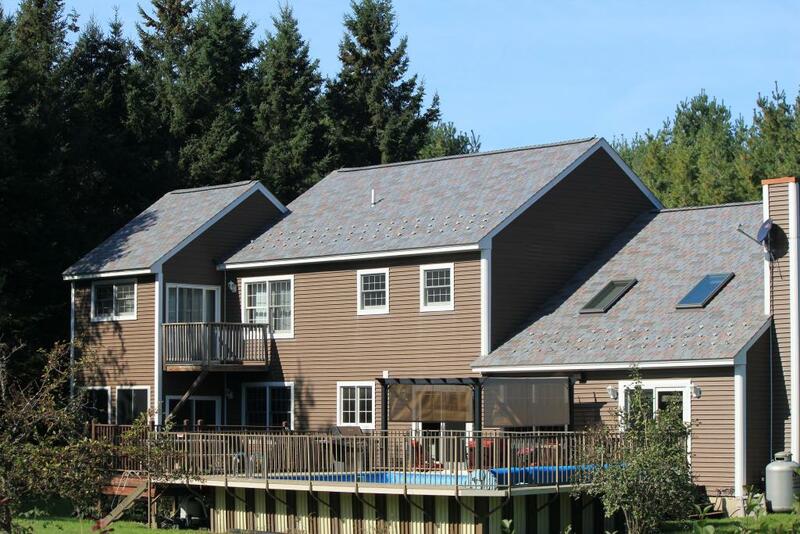 "My wife and I love our DaVinci Roofscapes luxury roof even more now that it's been installed for a few years," says Fanjoy, a resident of Hampden, Maine. "The durability is plainly evident and the composite roofing tiles have performed exactly as advertised. "Our imitation slate roof has held up to three colder and snowier than usual winters and two very hot, sunny summers. EVERYONE who comes up our driveway comments on our designer roof — friends, family, delivery drivers and service professionals — they all rave about how great it looks and can't believe it's not real slate." Fanjoy and his wife Holly selected a Multi-Width Slate roof from DaVinci in the Vineyard blend of eight colors. "We wanted a strong visual interest on the roof to accent our home," says Fanjoy. "We decided to make the roof the centerpiece of our exterior renovation plans. This worked out great for us and now we're in the process of using the 'top-down' color approach to select a siding that complements the roof!" A big supporter of man-made products that replicate Mother Nature but offer more long-term benefits than natural products, Fanjoy continues to appreciate the features of his synthetic slate roof. "The DaVinci product resists cracking, fading, curling and impacts," says Fanjoy. "Plus, this polymer slate roof has a great warranty, so how could we want anything more?"